Hey Plastic Addicts. Just back from Spider-man: Homecoming (it was awesome) so I thought I do my version of a Spider-man wave. Most people don’t realise this, but the Spider-man Line of ML is actually just Hasbro attempt at Spider-man Classics with out worrying about the stupid children gimmicks, like web launchers. Thankfully this has let Hasbro to create the most successful subline of ML. As people also know, there is a rumour for another wave for Spider-man consisting of Spider-man Noir, Spider-Punk, Mysterio, Spider-woman, Demogoblin, Prowler and Gwenpool. We will see if this listing is true next week at SDCC. As for why this is 1.5 instead of 1 is because I did a youtube video before but I will be using some ideas for that to create this new list. Sticking with what was one the old list is the Iron Spider. With the Homecoming Suit being basically being the Iron Spider suit and the fact that the one we do have is bad, I think it’s time for Hasbro to take another stab at the third of Spider-man most important costume. This will obviously be using the Pizza Spider-man build with a new backpack accessory that will allow the person remove waldoes on his back. Another idea from the first list is the highly popular and highly requested Spider-ham. This version of Spider-man takes place in a universe that swaps human character with cartoon like animal, similar to Micky Mouse and Bugs Bunny. While this figure will be all new, given it’s size could come with a smaller, non or limited articulated Spider-monkey from the Marvel Apes universe. The last of the regular figure from the last list is one of the 2 female figure (Coleen Wing would work better in the Knights line). 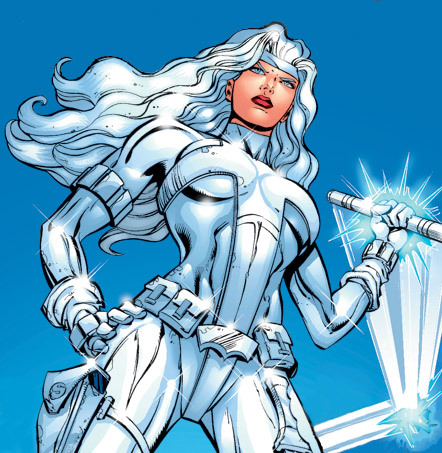 Given that she is going to be one of Sony’s newest star, it seem likely we will get her. It’s actually weird that we don’t have her yet. She would use the MCU Black Wiow body with new parts. 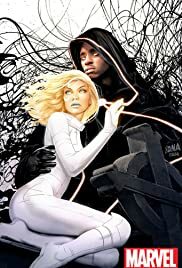 Taken up 2 spots is the duo Cloak and Dagger. These 2 are about to jump to the small screen in there own series so it seems likely we will get them. They are also highly request, mostly as a 2 pack but I wouldn’t mind if they sold them separately as long has they are in the same wave. Dagger would use the Kate Bishop mold with a swappable hand with energy effect. Cloak with use the standard Bucky Cap mold but the cloak would be a problem. It should be a cloth goods piece but if they can make it with a flexible material. Taken up the classic villains spot is of course the villain of the Homecoming Movie, the Vulture. Toybiz gave use one in a now extremely hard to find box set and Hasbro gave us a version but it was the Ultimate Version and even then it wasn’t Adrian Toomes. Hasbro has shown that they can do winged figure with the Darkhawk and many people think that they should use does (resculpted of course) not only for this but also for a Classic Falcon. While, it would make sense to use the same body as Darkhawk, if they reworked the Ultimate Vulture figure to include the new arms, it would work better. As a bonus they could include 2 extra head one for the young version of time and one for Blackie Draco. Last of the regular figure is Mark Raxton, the Molten Man. A scientist who got covered in a golden hot metal. He is also the step-brother of Liz Allen, a high friend and crush of Peter Parker. The metal drove him insane but with the help of Liz he got better, even becoming a hero for a time alongside other Spidey foes like Sandman and Rocket Racer. This will use the Spider-Uk mold with added flame effects similar to Human Torch. Taken up the BAF for this wave remained unchanged from the last list and that is Man-Spider. Now there are town of other villains that can be done for the BAF but I feel we need to get this one done as soon as possible. Why? Not only is it a highly popular request but this new build and be later used for other character, most prominently Doppelganger, who was in serious consideration for this wave. It could also be use for Ultimate Tarantula, Six-armed Spider-man, Ai Apaec and so many more. That’s it for the Spider-man wave. Hopefully some of these will come true. What do you guys think? Tomorrow will be the last Ideal wave before the SDCC, so tunes in then.